8 August 2008, at 12:53p.m. 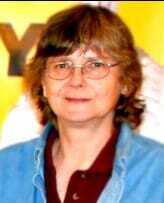 US - Dr Sally Noll, poultry extension and researcher at the University of Minnesota, is the 2008 recipient of the National Turkey Federation (NTF) Research Award. Dr Sally Noll was recognized for her excellence in providing the turkey industry with science-based, practical solutions for turkey production. The award was presented to Noll at the 2008 Poultry Science Association’s (PSA) Annual Meeting in Niagara Falls, Ontario, Canada. In selecting Dr Noll for the award, NTF members cited her research in the area of turkey amino acid and the use of alternative ingredients in turkey diets to maximize breast meat yield and economic return. This research has had direct applications on turkey production throughout North America. Her work with Distillers Dried Grain and Solubles (DDGS), a byproduct of ethanol production, has also been a cornerstone for the education of the poultry industry regarding DDGS effectiveness in turkey rations. Her other recent research projects look at beak trimming and feed shape and size to determine the effect on liveweight performance and avian pneumovirus vaccination programs. "With the increased feed costs, Dr. Noll’s research on efficient alternative feed ingredients is very timely and useful," said Dr Michael Rybolt, NTF’s director of scientific and regulatory affairs. "Her research on such a wide range of turkey industry related issues makes her most deserving of this award." Dr Noll received her Ph.D. degree from the University of Minnesota. During her 22 years in poultry extension, she has gained the respect of her peers as being one of the key primary turkey nutrition and management experts. She also coordinated the educational program for the Midwest Poultry Federation meetings during the 1990s. Through her guidance, this meeting earned the reputation as a premier industry education experience for both technical and practical applications. Dr Noll is on Poultry Science Association (PSA) Board of Directors and currently serves as second vice-president. She has also served the PSA as associate editor of their magazine from 1994-1999 and 2002-2007. Dr Noll received an award of $1,000 for her outstanding record of turkey research published during the six preceding years. The NTF Research Award is presented in even-numbered years.